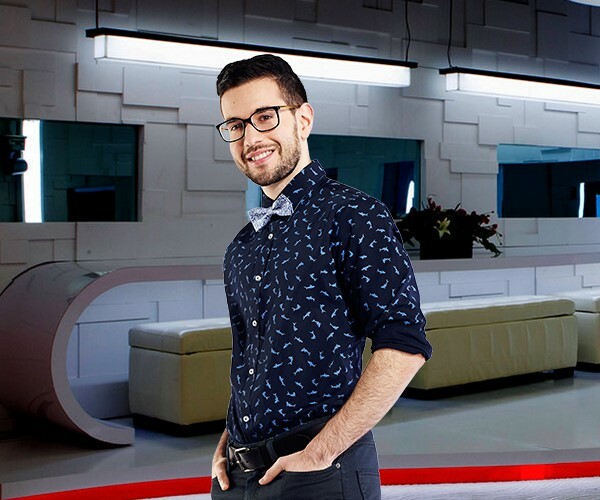 Jordan Parhar is one of the youngest of the Big Brother Canada 3 cast, but promises not to show it. At just 21, the student from British Columbia talks a mighty game, calling himself probably the biggest threat in the game. But he doesn’t plan to walk into BBCAN3 guns blazing, lying and back-stabbing. He plans to make friends and gain trust early on so all the deceit is harder to believe later in the game. When it comes to brain and brawn, Jordan’s confident he can accell and both, but adds that winning isn’t even necessary. “If I’m competing properly then I won’t need to rely on winning competitions,” he explains. So it sounds like he thinks he’s got the season in the bag. So what will he do with that money he thinks is inevitably his? “I would give some to my family.” Jordan says. “The rest I would use to try to convince attractive women to go on dates with me. I would also go to Vegas and put it all on black.